The majority of Swaziland’s population lives in conditions of poverty, and the financial crisis of 2011 further aggravated the situation. Democracy is but a distant dream. The journey to becoming a well-informed, healthy, self-reliant, and food-secure country is still a long one for Swaziland. Siteki is a small town in eastern Swaziland in the mountainous Lubombo region, located around thirty kilometres from the border with Mozambique. Siteki was selected as the site for the third SOS Children’s Village in Swaziland for a number of reasons: over the years, the impact of HIV/AIDS has deteriorated families’ capacities and coping mechanisms to protect, care for and support their children. Services including health care are not sufficiently available in the Lubombo region, and people often have to travel long distances to get to a hospital. Low income, poor social conditions, and a lack of infrastructure such as sewage systems, in addition to the scarcity of health facilities in the region, all have a negative impact on the wellbeing of the local population. The HIV/AIDS crisis in the country continues unabated. 60 per cent of hospital admissions are due to HIV/AIDS-related illnesses. The majority of deaths occur among young people aged 15 to 49 – the nation’s most productive population segment. As a result, there are a great number of children in the region who are extremely vulnerable. These include children who are living with terminally ill parents, those who have lost one or both parents, and those living in a child-headed household or with elderly relatives. Poverty levels in the region are also high. Although the land here is very fertile, people often lack the skills and knowledge to farm it efficiently, or they lack the start-up capital for viable projects. In addition, when people fall ill, of course it becomes impossible for them to work the land. All these factors mean that families often do not have enough food. Lubombo is predominantly a rural, agricultural region and has historically been one of the most marginalised and deprived areas in the country. People in Lubombo are generally poorer, complete fewer years of education, and have less access to clean water and sanitation than people in other regions of Swaziland. Under-five mortality is particularly high here. Only around half of the population have improved toilet facilities, one quarter share facilities with other households, and around 20 per cent don’t have access to a toilet at all. When it comes to education, too, there are great disparities: while in other, more urban regions of the country, males are likely to complete around eight years of schooling, in Lubombo the average time spent in education is just four years. Secondary school attendance in Lubombo is even lower, with enrolment rates of around 29 per cent. SOS Children’s Villages began its work in Siteki in 2009. In recent years, we have expanded our family strengthening programme in the region so as to reach as many struggling families as possible. The aim is to alleviate hardship and maintain family stability so that children will be safe and protected and grow up in a loving home. The SOS Social Centre in Siteki ensures that children have access to essential health and nutritional services, as well as education. We provide food assistance, educational scholarships, literacy classes, and help with the renovation of homes. We assist parents by providing guidance on income-generating skills, individual and communal food production, parenting practices, as well as counselling and psychological support where needed. Our support goes out especially to families who have been affected by HIV/AIDS. In cooperation with local organisations, we also work towards strengthening the support systems for vulnerable families within the community. 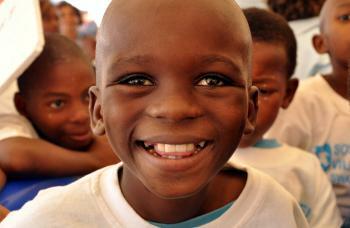 Over 780 children and 370 adults benefit from the social centre. The SOS Medical Centre treats up to 2,000 adults and children each month, providing basic medical care, preventive medicine, as well as voluntary testing, counselling and treatment for those affected by HIV/AIDS. All services are open to the community, enabling many people to receive treatment and medicine who could not otherwise afford it. For children from the region who are no longer able to live with their parents, twelve SOS families can provide a loving home for up to 120 children. 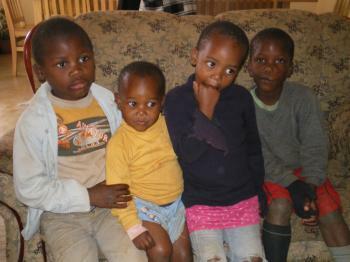 In each family, the children live with their brothers and sisters, affectionately cared for by their SOS mother. The children attend the SOS Kindergarten in Siteki together with children from the neighbourhood, which ensures that they are integrated into the local community from a young age.